Kristiane Backer conducted an interview with Professor Salim Al-Hassani, founder of 1001 Inventions and President of The Foundation for Science, Technology and Civilisation (FSTC) in the TV Chat Show Matters of Faith on Ebru TV. The interview was diffused by "Matters of Faith" team on Youtube on 15 October 2010. The interview was about the main theme of uncovering 1000 years of science and technology that emerged during the period known as The Dark Ages in many western accounts of history - the same period that is known as The Golden Age in the very cultures that invented the science and technology that the history of the west either obscures, glosses over or ignores. Kristiane Backer is a TV presenter and journalist based in London with a pan-European career. She currently presents a monthly travel show for Travel Channel in Germany and Matters of Faith for Ebru TV. The latter is a program that deals with different aspects of faith and culture. She also hosts galas, conferences and corporate events around Europe. 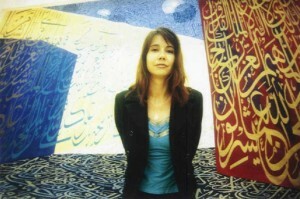 In 2009, K. Backer published her acclaimed autobiography From MTV to Mecca in Germany. The book is currently being translated into Dutch, Turkish, Arabic and English. K. Backer is engaged in interfaith and intercultural dialogue and is a Global Ambassador for the Exploring Islam Foundation. She was recently honoured by the Arab Republic of Egypt with the Presidential medal of the Sciences and the Arts for her efforts in promoting understanding for Islam in the West. See more on Kristiane Backer's offcial web site. Matters of Faith is a TV chat show that explores the sacred, the spiritual paths of the world's many seekers and tries to answer questions about faith and its practices in the present world. This show journeys to the past, highlights the present, and takes a glimpse into the future. From Sufism to Islamic Civilization – to Ethics and Mysticism, leading scholars and teachers offer thought-provoking discussion and share their insight. You can watch it each week on Ebru TV. See the Matters of Faith TV Show's offcial web page. Professor Salim T S Al-Hassani was raised in Baghdad, but has lived, studied and worked in the UK since the early 1960s. He became Professor of Mechanical Engineering at University of Manchester Institute of Science and Technology (UMIST) in 1991 and was an acknowledged world expert in the decommissioning of offshore installations and in major plant-related accident investigations. He also researched into, and has widely published on the computational modelling of biomedical processes. Since 1968, Professor Al-Hassani has published over 200 papers in international journals and books. He has supervised 40 PhD students, 50 MSc students and numerous post-doctoral fellows from all parts of the world and holds patents on engineering. Over the past 20 years, Professor Al-Hassani's interest has turned to promoting the cultural roots of science as a platform for community cohesion, intercultural appreciation and world peace. In order to do this, he has created a global movement aspiring to fill the 1000 years amnesia in our knowledge about the period commonly known as the Dark Ages, the Golden Age of the Muslim Civilisation, and to show their connectivity to present society. He acted until the end of 2011 as the Chairman of the Foundation of Science, Technology and Civilisation (FSTC) of which he is presently the President, Professor Mohamed El-Gomati being the chairman of FSTC. 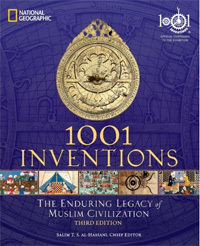 Professor Al-Hassani was also the founder of the academic portal of FSTC, MuslimHeritage.com and Chief Editor of the book 1001 Inventions: Muslim Heritage in Our World. FSTC is a not-for-profit educational foundation which aims to generate social cohesion, inter-cultural appreciation, and to promote science and learning as an alternative to negative and extremist behaviour. It does this by illuminating the shared scientific heritage of humanity, with its initial efforts centring on uncovering the very significant scientific contributions by the Muslim Civilisation. In its various projects, from books to lectures, seminars, exhibitions, films and electronic publications, FSTC is supported by a large network of historians of science, academics, writers and intellectuals.